I read and loved Jennifer Donnelly’s A Northern Light earlier this year, and I looked forward to reading her second (?) 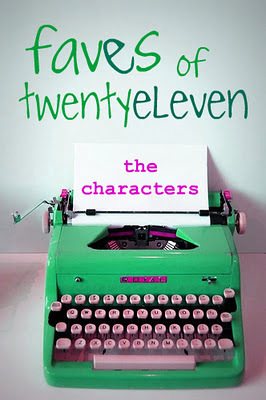 YA novel, Revolution after I got a taste of her writing prowess. There were only two things that stopped me from reading it: (1) I still shy away from historicals and (2) the book looked so daunting with its size and length. I didn’t think I would be able to read it for Required Reading last month as I’m jet-setting all around, but I’m really, really glad I found a way to read it! Andi Alpers is an angry girl. After her brother’s death, everything in her family fell apart and all Andi could think of is thoughts of suicide. When her school calls her dad with a threat of expulsion, he brings her to Paris for her winter break to work on her senior thesis. Living with her dad’s friends, Andi finds a diary hidden in the guitar case given to her. There she meets Alexandrine Paradis, an girl who lived two centuries ago who dreams of being a popular actress but whose life is forever changed when she meets a young (and doomed) prince of France. Andi finds comfort in Alex’s diary, until a night at the catacombs of Paris brings her face to face to what just Alex was going through. Like I said earlier, Revolution looked daunting because of its length — the table of contents lists 80+ chapters! I was kind of worried that I didn’t have much in me to invest in something this long. However, I found that the book was extremely readable. I was never bored with any chapter, and it was really more contemporary than historical. Andi’s anger and grief radiates through the pages, and I felt really, really sad for her. I think out of all the books I’ve read with grief, this book had the rawest and angriest form, and the first time I read about someone willingly self-destruct because she couldn’t find the strength to face the days living with the grief. Despite that, I found Andi’s anger and her going around a little too tedious, and it took a long time before Alexandrine was introduced. When she was, however, I found myself stuck further to the pages. I found myself engrossed in Alex’s diary just as much as Andi was, and even if I knew how it would probably end, I felt the same fear and longing for the story to end differently, for the Alex to make it through. The ending, while it was wrapped up nicely, was just a tad too unbelievable, especially with the seemingly time-space-warp thing that happened. 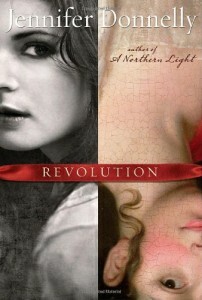 Still, I think Revolution is another solid book from Jennifer Donnelly. It’s intense and gripping and wonderfully colorful despite its bleak atmosphere. Music lovers and historical fiction fans should definitely pick up this book, but if you’re neither and you like contemporary YA novels, then you may enjoy this one very much, just like I did. May was a little forgiving compared to April when it came to work, so I was able to read faster than I usually do. That, and the books were, well, awesome, so it made for a very good reading month. Of course, I still didn’t finish all on time, as I only finished the fourth book for my Required Reading challenge yesterday. Still, I think I made pretty good, and none of the books I chose to read last month were a drag. So, Required Reading for May recap! The King of Attolia by Megan Whalen Turner – this sealed the deal for me in the series. MWT = genius. I will do a little variation this month, because when I first made my list for June books, I realized that all of them are a bit of a heavy reading, and I know for sure I won’t be able to finish all, So, instead of choosing four books, I’m only going for two. I’m also bending my third rule a bit because one of the books I chose this month passes for my local book challenge. I can afford to bend it, right? Right. Noli Me Tangere by Jose Rizal – For my non-Filipino readers, Jose Rizal is the national hero of the Philippines. Noli Me Tangere (or Noli) is required reading for us during high school, but we didn’t actually read the novel back then — we were reading a summarized version of the book (which we had to summarize further — go figure). I liked Noli’s story, so I want to read it in its full glory. :) June 2011 is his 150th birthday, so I figure it’s also just right. I also have a back-up book, just in case I end up having more time, or I’m having a particularly good reading month, too. 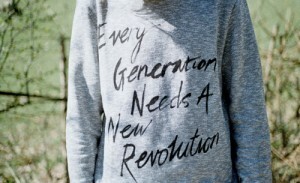 Revolution by Jennifer Donnelly – French revolution. Enough said. Sixteen-year-old Mattie Gokey has big dreams but little hope of seeing them come true. Desperate for money, she takes a job at the Glenmore, where hotel guest Grace Brown asks her to burn a bundle of secret letters. But when Grace’s drowned body is fished from the lake, Mattie discovers the letters reveal the grim truth behind a murder. Set in 1906 against a backdrop of the murder that inspired Theodore Dreiser‘s An American Tragedy, this astonishing novel weaves romance, history, and a murder mystery into something moving, real, and wholly original. I was never a big fan of historical novels because in my mind, they’re equivalent to classics: slow reading and oftentimes, hard to read. I tend to shy away from any novel set in any part of history that isn’t a classic because…well, classics are classics for a reason that’s why I feel the need to read them. Historicals are just that, and it doesn’t really call my name. That’s just me being a book snob, excuse me there. But the good reviews of Jennifer Donnelly’s books got me curious, so I had her books somewhere in my wish list, for possible future acquiring and reading. Fortunately, I didn’t have to buy any because I got her two YA novels as gifts last Christmas. Knowing myself, however, I was kind of sure those books would sit on my TBR pile for a while before I get to go through them. If I wasn’t crazy enough to set a mini-challenge for myself every month, I don’t think I would have picked up and discovered the beauty that is A Northern Light. Mattie Gokey is working at Glenmore when the body of Grace Brown was found in the river. She remembers Grace very well — after all, she had asked Mattie to burn some letters for her just a few hours before she was found dead. Unable to sleep that night, Mattie decides to read the letters and finds that there was more to Grace Brown’s death than it looks. At the same time that was happening, another story is told that accounts how Mattie got to the Glenmore in the first place. Sixteen-year-old Mattie Gokey is a smart young lady who has big dreams of being a writer but is losing hope of them coming true. After their mother died and her older brother ran away, Mattie is left to help manage the Gokey household with her sullen father and three younger sisters. A lover of books and the written word, Mattie dreams of writing her own, too, but poverty, her family and a possible romance all comes to her, forcing her to decide if she should follow her dreams or stay and fulfill her promise to her dead mother. The summaries I wrote there is not enough to do justice to the beauty of this book. 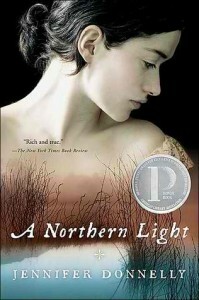 A Northern Light turned out to be an easy read despite it being set in a time so far from what I know. The setting was vivid, and it reminded me of one of my favorite childhood reads, The Nickel-Plated Beauty by Patricia Beatty. I could just imagine the sprawling farm lands, the cows that they need to milk, the hotel, the Gokey home. Adding to the vivid scenery are the wonderfully drawn characters. Mattie’s voice rang clear and true, and all the people around her shone like little stars, too, shedding more light in the mystery and the story. Even the unnamed guests in the hotel felt like real people, and I can almost hear the noise of the guests eating as Mattie and her co-workers in Glenmore rush to and from the kitchen, picking up plates and serving dishes. The writing was simple yet poetic, immediately pulling me in without having to adjust to any odd language. 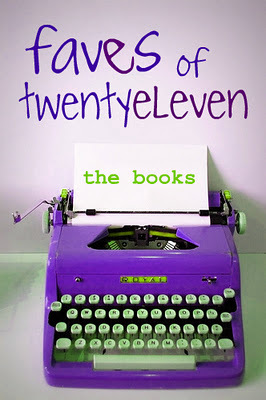 Overall, the book just worked for me and it read almost like a contemporary YA novel, which I really liked. What I saw next stopped me dead in my tracks. Books. Not just one or two dozen, but hundreds of them. In crates. In piles on the floor. In bookcases that stretched from floor to ceiling and lined the entire room. I turned around and around in a slow circle, feeling as if I’d just stumbled into Ali Baba’s cave. I was breathless, close to tears, and positively dizzy with greed. I also always loved those scenes when Mattie and her best friend Weaver would have a word duel, where they’d “shoot” each other with synonyms of a word that they set at the start of the game, and the one who fails to give the answer “dies”. This book gave importance to even the simplest of words, and to further stress that, chapters that narrate Mattie’s past before she got to Glenmore had headings of Mattie’s word of the day that somehow made its way into the story.